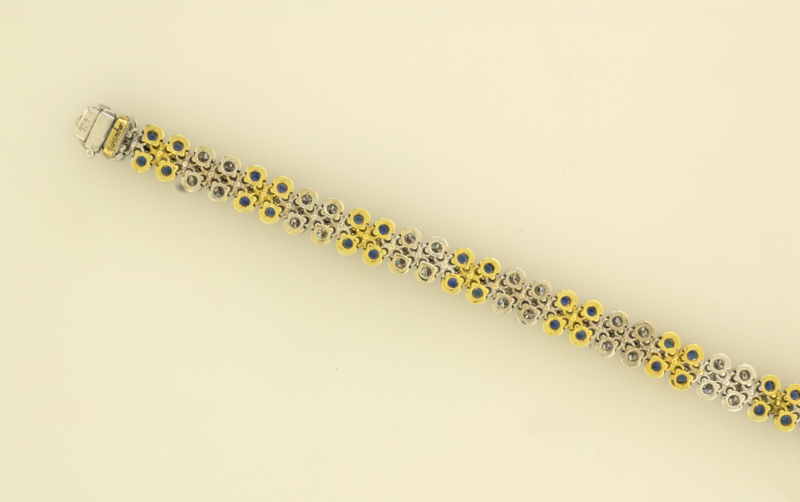 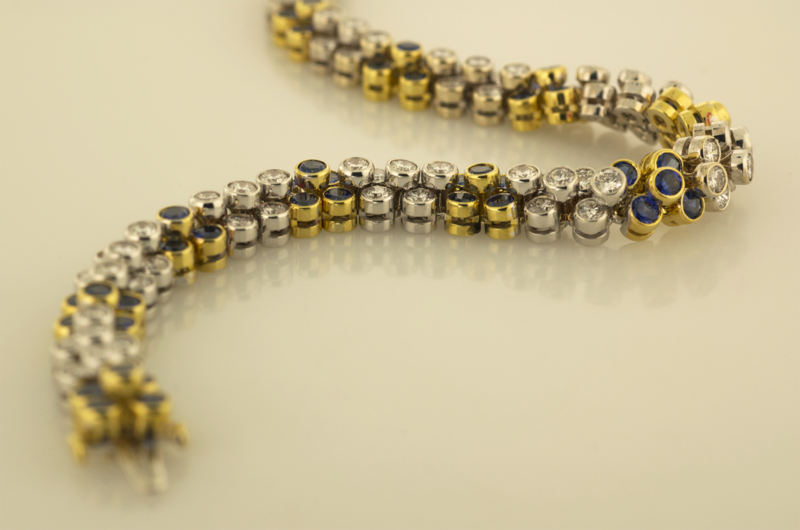 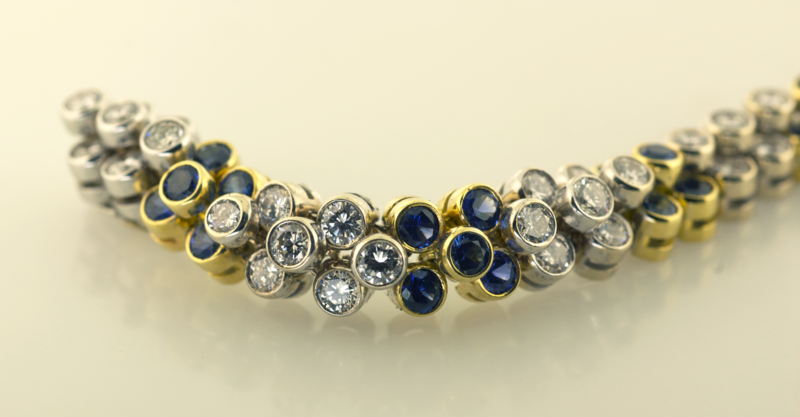 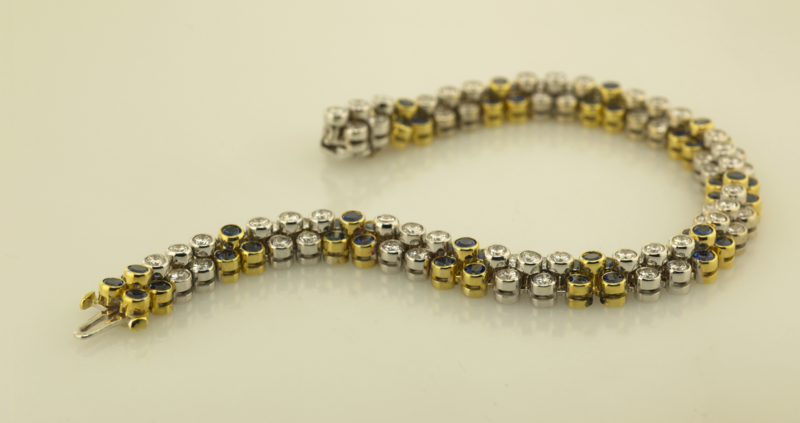 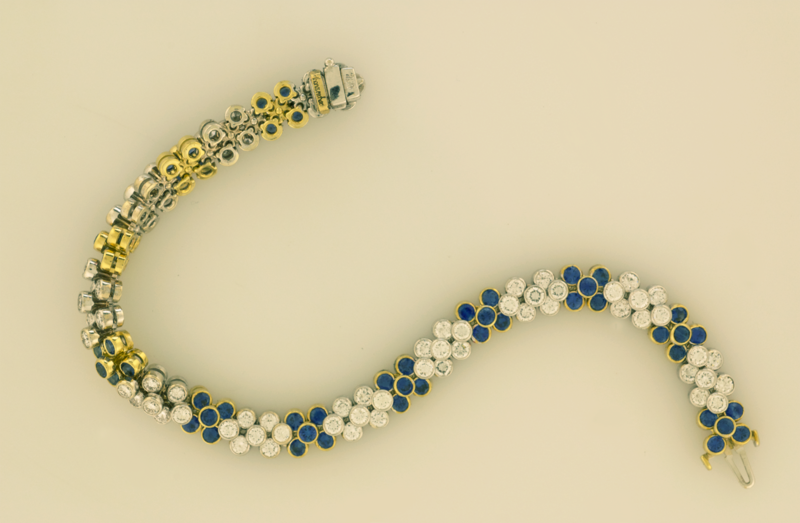 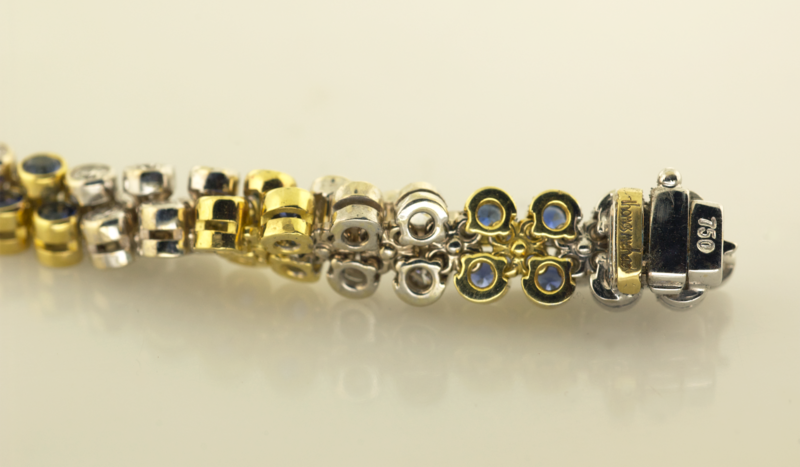 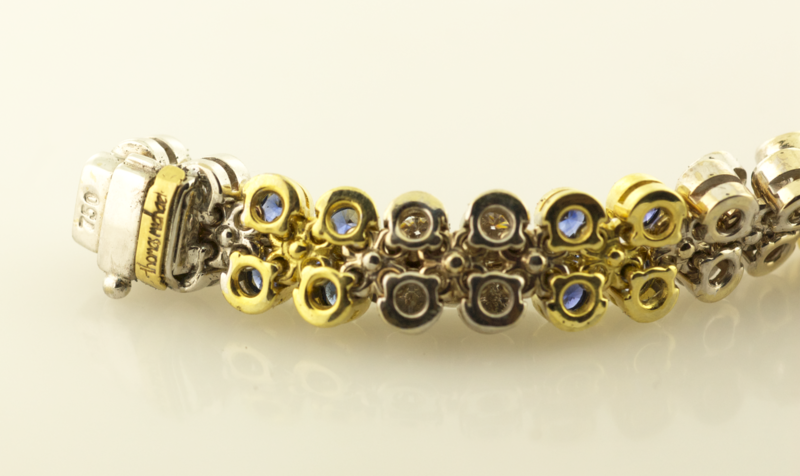 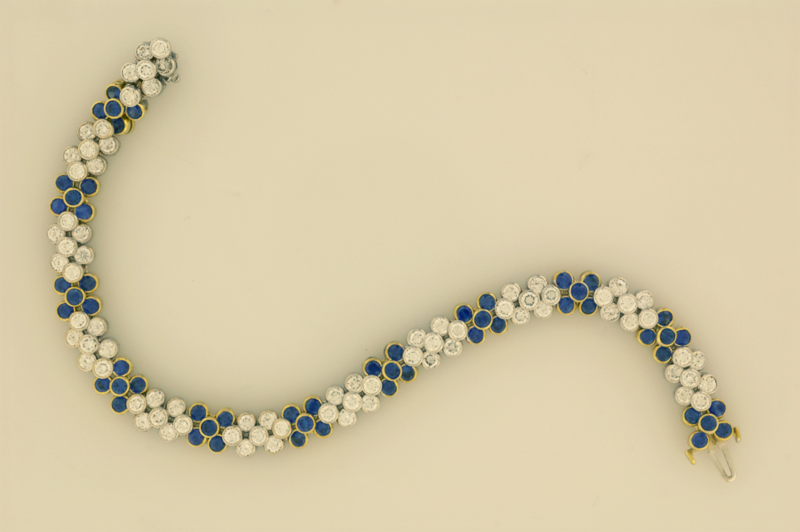 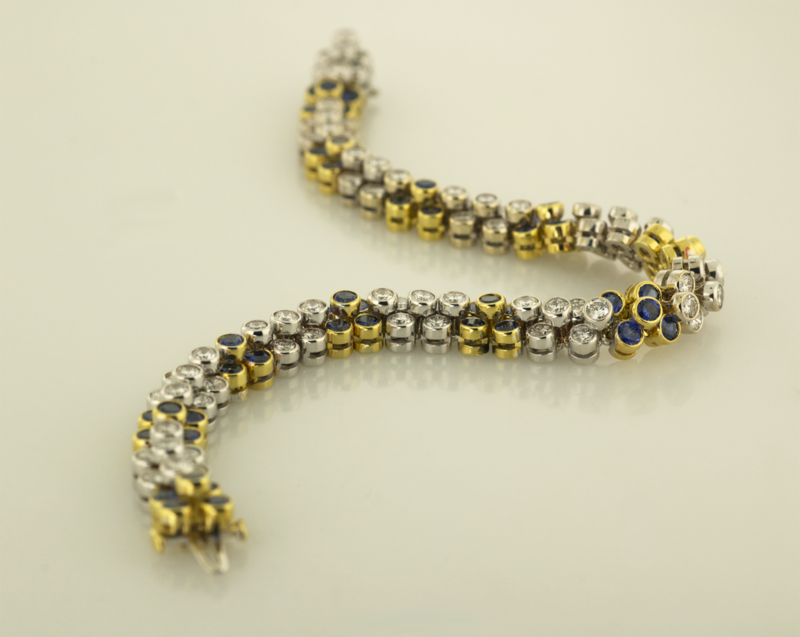 Diamond and Sapphire three row flexible 18KT white and yellow gold bracelet. 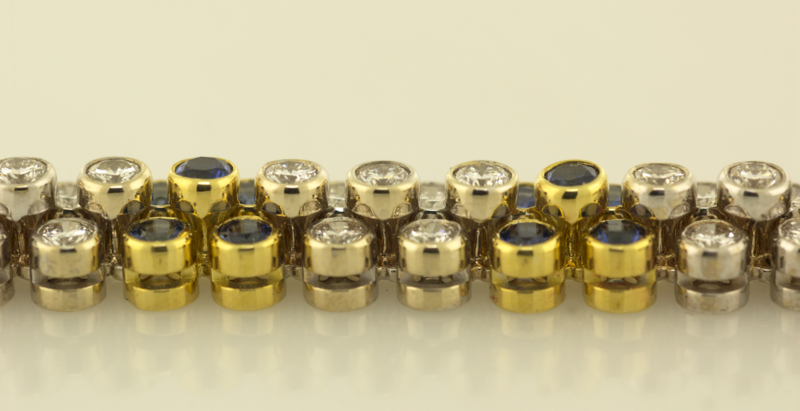 77 Diamonds for a total diamond weight of 6.96cts. 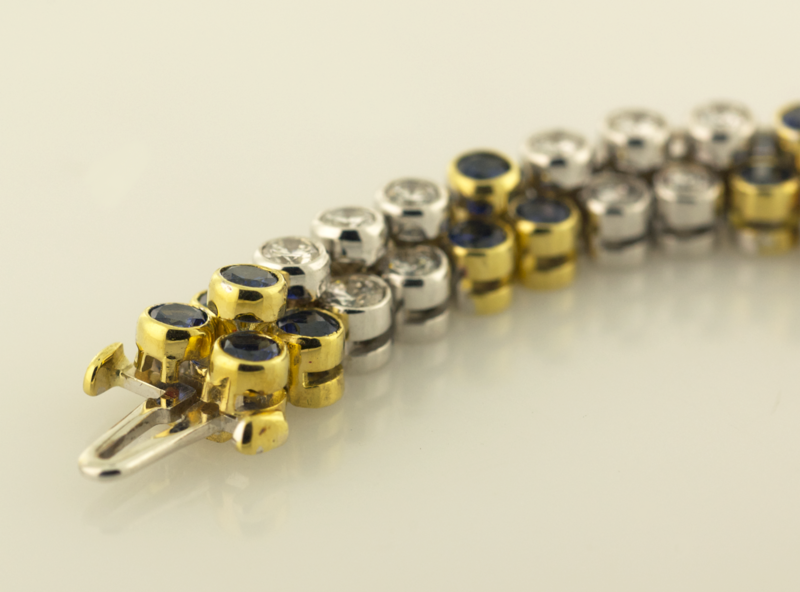 and 56 sapphires for a total sapphire weight of 5.82cts.